The CheckVenlo Student Run is an event especially for students in cooperation with name sponsor CheckVenlo and the Venlose SA DaVinci and ISA Umami. Participating students will be equipped with a cool LED gadget for this special night run on Thursday 28 March, and will run through the wonderfully illuminated Julianapark in Venlo. A party atmosphere is guaranteed thanks to the best beats of the DJ's of John Doe that will boom out in the Julianapark. Following a fun warm-up at 8 p.m., every participant will run as many laps of the Julianapark as they can (fitness permitting). Each lap is approximately 700 metres. Participants will be awarded a glowstick for every lap they complete. Who is able to collect the most glowsticks? The CheckVenlo Student Run takes place in the Julianapark in Venlo on the evening of Thursday 28 March 2019. View the complete evening’s timetable below. Register here online to participate in the CheckVenlo Student Run! 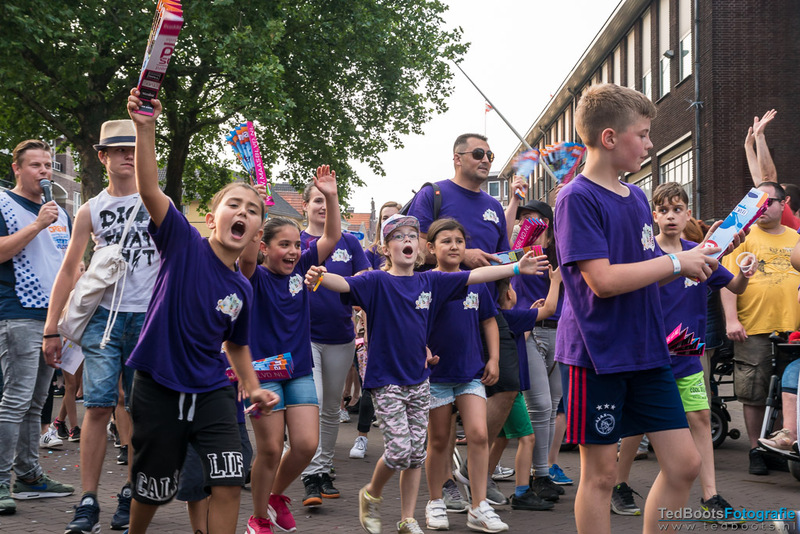 View photos of the CheckVenlo Student Run 2018 here.